Samsung’s Galaxy S5, which was released at the tail-end of last month at Mobile World Congress in Barcelona, includes a bunch of new and exciting features both in terms of hardware and software. From the new gold color option and fingerprint scanner, to the 4K video capturing and advanced shot-taking experience offered by the 16-megapixel rear-facing camera, prospective Galaxy S5 owners have a fair amount to look forward to. Up until now, though, we’ve only seen little snippets of the eagerly-awaited device, but mobile industry insider Eldar Murtazin has just posted a series of hands-on clips totaling almost 50 minutes. If you’ve been waiting to get up close and personal with the Galaxy S5, Murtazin’s videos offer perhaps the first substantial look at what we can expect with the Korean company’s forthcoming flagship. Leaving no stone unturned, Murtazin breezes through the user interface, detailing the numerous changes and tweaks made to apps, as well as testing out some of the new hardware. One of the main reasons why Android users regularly look to Samsung’s high-end handsets is because the battery can be removed and on-board storage can be extended by means of the omni-present microSD slot. As far as these two oft-essential features go, Samsung hasn’t disappointed, and Murtazin removes the rear cover of the device to give interested parties a closer look under the proverbial hood. Despite generating the usual amount of interest, some fans of the Galaxy S series were left feeling a little short-changed by the announcement of the S5 last month. After all, we had been hearing that the device may pack a quad-HD display, as well as a metallic finish – something many consumers have been crying out for in recent times – but none of these show-stopping features actually materialized. The rumored Galaxy F, which has been referenced ad nauseam since the Galaxy S5 was officially showcased, could be the very device that many had been waiting for, and if more concrete details of the enigmatic handset leak into the wild during the next few weeks, one suspects that many will hold off purchasing the Galaxy S5 and wait for the better handset to manifest itself. If people do hang back in hope of landing a Galaxy F in a couple of months, it leaves Samsung in a rather precarious position, especially given that HTC is expected to take the wraps of the HTC One 2 later on this month. With a lingering feeling that the S5’s shiny new camera, even shinier gold color variant, and fingerprint scanner won’t be enough of an upgrade for some, it remains to be seen whether the undisputed champ of the high-end Android game could be seriously challenged by its Taiwanese adversary, but given how impressively the HTC One fared in 2013, I’d say that Samsung has legitimate reason to be worried. 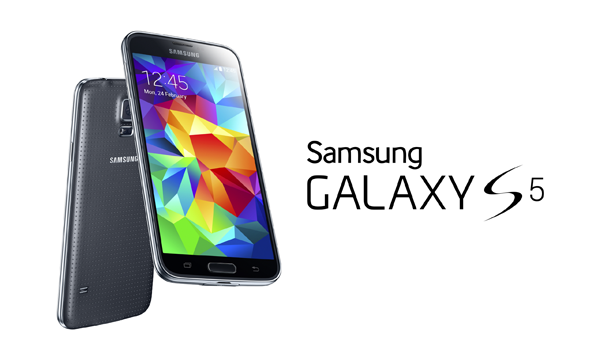 Anyhow, check the walkthrough video of the Galaxy S5 below, courtesy of Murtazin. As aforementioned, the clips total 50 minutes in length, so you might want to grab yourself a coffee beforehand.